It's finally that time of the year again, not only the biggest event of the summer, but the biggest event all year long as far as fighting games go. EVO 2018 is taking place this weekend in Las Vegas, Nevada, and it's even bigger than last year, believe it or not. This monster of an event will have 8 main games, all receiving ample stream time and having the best in the world gathered for them, with said titles being Street Fighter 5: Arcade Edition, Dragon Ball FighterZ, Tekken 7, Super Smash Bros. Melee, Guilty Gear Xrd REV 2, Super Smash Bros. 4, BlazBlue: Cross Tag Battle and Injustice 2. There's no point in even listing all the players set to be at the event, since with very few exceptions, you can assume that every notable player is going to be present competing in their game of choice. Of course, this is no surprise — With Dragon Ball FighterZ and Street Fighter 5: Arcade Edition both above 2000 entrants, Tekken 7, Super Smash Bros. 4, Super Smash Bros. Melee and BlazBlue: Cross Tag Battle all over 1000 entrants, and a very respectable 623 and 361 entrants for Guilty Gear Xrd REV 2 and Injustice 2 respectively, you can clearly tell that the top competitors have gathered. Streaming is being done all weekend at EVO, Capcom Fighters, EVO 1, EVO 2, EVO 3, EVO 4, EVO 5, EVO 6 and EVO 7. Of course, there's an abundance of side events as well, many of which will be streamed, too. We're going to do our best to have these in the schedule and results sectionof our story as well, so stay tuned. • Grand finals, second set: Mouz|Problem X (M. Bison) eliminated FOX|Tokido (Akuma) 3-0. • Grand finals, first set: FOX|Tokido (Akuma) beat Mouz|Problem X (M. Bison) 3-2. • Losers finals: FOX|Tokido (Akuma) eliminated CYG|Fuudo (R. Mika) 3-1. • Losers semi-finals: FOX|Tokido (Akuma) eliminated Gachikun (Rashid) 3-1. • Winners finals: Mouz|Problem X (M. Bison) beat CYG|Fuudo (R. Mika) 3-2. • Gachikun (Rashid) eliminated FD|Fujimura (Ibuki) 3-1. • FOX|Tokido (Akuma) eliminated RB|Luffy (R. Mika) 3-0. • FD|Fujimura (Ibuki) eliminated Rise|Caba (Guile) 3-2. • RB|Luffy (R. Mika) eliminated CoolKid93 (Abigail) 3-2. • Winners semi-finals: CYG|Fuudo (R. Mika) beat FOX|Tokido (Akuma) 3-1. • Winners semi-finals: Mouz|Problem X (M. Bison) beat Gachikun (Rashid) 3-1. • FD|Fujimura (Ibuki) eliminated FAV|Ryusei (Urien) 2-0. • Rise|Caba (Guile) eliminated Filipino Champ (Dhalsim) 2-0. • CoolKid93 (Abigail) eliminated RZR|Xian (Ibuki) 2-1. • RB|Luffy (R. Mika) eliminated Rise|MenaRD (Birdie) 2-0. • FOX|Tokido (Akuma) beat FAV|Ryusei (Urien) 2-0. • CYG|Fuudo (R. Mika) beat Filipino Champ (Dhalsim) 2-1. • Mouz|Problem X (Abigail) beat RB|Luffy (R. Mika) 2-0. • Gachikun (Rashid) beat CoolKid93 (Abigail) 2-0. • Rise|Caba (Guile) eliminated CYG|Daigo (Guile) 2-1. • FD|Fujimura (Ibuki) eliminated Mago (Cammy). • Rise|MenaRD (Birdie) eliminated Fursan|Verloren (Cammy) 2-1. • RZR|Xian (Ibuki) eliminated Surugaya|Machabo (Necalli) 2-1. • Fursan|Verloren (Cammy) eliminated K-Brad (Cammy) 2-0. • RZR|Xian (Ibuki) eliminated FD|Haitani (Akuma). • Rise|Caba (Guile) eliminated ChrisCCH (Guile) 2-0. • CYG|Daigo (Guile) eliminated GGEA|Toi (M. Bison) 2-0. • Surugaya|Machabo (Necalli) eliminated exceL|Hurricane (Cammy). • FD|Haitani (Akuma) eliminated FOX|Justin Wong (Menat). • FD|Fujimura (Ibuki) eliminated DouyuTV|Xiao Hai (Cammy) 2-0. • Rise|MenaRD (Birdie) eliminated CYG|Chris Tatarian (Ken) 2-1. • FOX|Tokido (Akuma) beat K-Brad (Cammy) 2-1. • Mouz|Problem X (Abigail) beat FD|Fujimura (Ibuki) 2-0. • CYG|Fuudo (R. Mika) beat exceL|Hurricane (Cammy). • Gachikun (Rashid) beat ChrisCCH (Guile) 2-1. • RB|Luffy (R. Mika) beat Mago (Cammy) 2-1. • Filipino Champ (Dhalsim) beat FD|Haitani (Akuma) 2-0. • CoolKid93 (Abigail) beat CYG|Daigo (Guile). • FAV|Ryusei (Urien) beat CYG|Chris Tatarian (Ken) 2-0. • GGEA|Toi (M. Bison) eliminated Method|Broski (Dhalsim). • FOX|Justin Wong (Menat) eliminated GRPT|MOV (Chun-Li). • Rise|Caba (Guile) eliminated NVD|Phenom (Necalli) 2-0. • DouyuTV|Xiao Hai (Cammy) eliminated Mo-Joe (R. Mika). • Fursan|Verloren (Cammy) eliminated RB (Zeku). • Rise|MenaRD (Birdie) eliminated Xyzzy (Birdie). • Surugaya|Machabo (Necalli) eliminated TS|Arturo Sanchez (Dhalsim) 2-0. • RZR|Xian (Ibuki) eliminated OG|Shine (Ibuki) 2-0. • Rise|Caba (Guile) eliminated Method|Packz (Karin). • NVD|Phenom (Guile) eliminated Flash (Urien). • Rise|MenaRD (Birdie) eliminated IceEffect (Laura). • FOX|Justin Wong (Menat) eliminated Mono (F.A.N.G, M. Bison) 2-0. • Machabao (Necalli) eliminated Yoro (Karin) 2-0. • RZR|Xian (Ibuki) eliminated AB|Chuan (Guile) 2-0. • OG|Shine (Ibuki) eliminated CO|Dogura (Urien) 2-1. • Fursan|Verloren (Cammy) eliminated NVD|Momi (Cammy) 2-1. 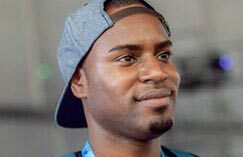 • RB eliminated Rise|Smug (Balrog) 2-1. • Xyzzy (Birdie) eliminated Hsien Chang (Juri) 2-1. • Mo-Joe (R. Mika) eliminated PG|Infiltration (Menat) 2-1. • DouyuTV|Xiao Hai (Cammy) eliminated FNATIC|Akainu (Guile) 2-1. • GRPT|MOV (Chun-Li) eliminated Talon|HotDog29 (M. Bison) 2-1. • GGEA|Toi (M. Bison) eliminated UYU|Brian_F (Balrog) 2-1. • TS|Arturo Sanchez (Dhalsim) eliminated RB|Bonchan (Nash) 2-1. • Method|Broski (Dhalsim) eliminated LU|Alex Valle (Blanka). • Gachikun (Rashid) beat RB (Zeku) 2-0. • ChrisCCH (Guile) beat NVD|Momi (Cammy) 2-1. • FD|Fujimura (Ibuki) beat Yoro (Karin) 2-0. • K-Brad (Cammy) beat Rise|Caba (Guile) 2-1. • FD|Haitani (Akuma) beat FOX|Justin Wong (Menat) 2-0. • exceL|Hurricane (Cammy) beat PG|Infiltration (Menat). • CoolKid93 (Abigail) beat Rise|MenaRD (Birdie) 2-1. • CYG|Daigo (Guile) beat Xyzzy (Birdie) 2-0. • Mago (Cammy) beat CO|Dogura (Urien) 2-0. • CYG|Chris Tatarian (Ken) beat UYU|Brian_F (Balrog). • FAV|Ryusei (Urien) beat LU|Alex Valle (Blanka) 2-0. • FOX|Tokido (Akuma) beat Flash (Urien). • Filipino Champ (Dhalsim) beat GRPT|MOV (Chun-Li) 2-1. • RB|Luffy (R. Mika) beat RZR|Xian (Ibuki) 2-0. • Mouz|Problem X (M. Bison) beat RB|Bonchan (Nash) 2-0. • NVD|Phenom (Necalli) eliminated GGP|Kazunoko (Cammy). • Surugaya|Machabo (Necalli) eliminated UYU|OilKing (Rashid) 2-0. • TS|Arturo Sanchez (Dhalsim) eliminated FD|Johnny (Karin) 2-1. • AB|Chuan (Guile) eliminated SPZ|Saulabis (Rashid) 2-0. • Fursan|Verloren (Cammy) eliminated FOX|Momochi (Kolin) 2-1. • Rise|Smug (Balrog) eliminated AB|Gunfight (Alex) 2-0. • Hsien Chang (Juri) eliminated AB|Poongko (Abigail) 2-1. • IceEffect (Laura) eliminated AFG (Karin) 2-1. • Mo-Joe (R. Mika) eliminated AllOne|Chris Wong (Ibuki) 2-0. • FNATIC|Akainu (Guile) eliminated Nephew (Kolin) 2-1. • Mono (F.A.N.G) eliminated Trashbox (Birdie) 2-0. • Talon|HotDog29 (M. Bison) eliminated Dusk 2-1. • Method|Packz (Karin) eliminated FOX|Punk (Karin) 2-1. • Method|Broski (Dhalsim) eliminated Gote|GentlemanThief (Juri) 2-0. • GGEA|Toi (M. Bison) eliminated WP|Daikokugo (Birdie) 2-0. • OG|Shine (Ibuki) eliminated FAV|Sako (Menat) 2-1. • GGP|Kazunoko (Cammy) eliminated ESE|Creestina (Ken) 2-0. • Fursan|Verloren (Cammy) eliminated GESports|Happy Medicine (Menat, M. Bison) 2-0. • Yoshimoto|Trashbox (Birdie) beat Liquid|Nemo (Urien) 2-1. • ESE|Creestina (Ken) eliminated Shotbar|Lucy Minowa (R. Mika) 2-1. • Mono (F.A.N.G) eliminated DNG|Tachikawa (Kolin, Ibuki). • The Cool Kid93 (Abigail) beat UYU|Oil King (Rashid) 2-0. • Rise|MenaRD (Birdie) beat EG|Ricki Ortiz (Chun-Li) 2-1. • Mono (F.A.N.G) eliminated AB|StormKubo (Abigail). • Filipino Champ (Dhalsim) beat FOX|Momochi (Kolin) 2-0. • Gachikun (Rashid) beat FD|Haku (Guile) 2-1. • Filipino Champ (Dhalsim) beat WBG|CJ Truth (Cammy) 2-1. • Mago (Cammy) beat P2G|Harumy (Ibuki) 2-0. • CYG|Chris Tatarian (Akuma, Ken) beat CYG|PR Balrog (Akuma) 2-1. • Rise|MenaRD (Birdie) beat Circa|Wolfkrone (Zeku) 2-1. • Hsien Chang (Juri) eliminated Fubarduck (R. Mika) 2-1. • FAV|Ryusei (Urien) beat Wolfgang (Blanka). • OG|Shine (Ibuki) eliminated CYG|GamerBee (Cammy). • NVD|Veggey (Birdie) eliminated EG|NYChrisG (Guile) 2-0. • OG|Shine (Ibuki) eliminated Julio (Ken) 2-0. • FAV|Ryusei (Urien) beat FNATIC|Akainu (Guile). • Saisak (Karin) eliminated UYU|NL (Cammy). • Pavocado (R. Mika) eliminated GRPT|Gllty (Menat) 2-0. • Nauman (Ken) beat CYG|GamerBee (Cammy). • TS|Arturo Sanchez (Dhalsim) eliminated BCF|Commander Jesse (Dhalsim) 2-1. • Xyzzy (Birdie) beat Nephew (Kolin) 2-1. • LU|Alex Valle (Blanka) beat Method|ImStillDaDaddy (Guile) 2-1. • RZR|Xian (Ibuki) beat AB|Gunfight (Alex). • PG|Infiltration (Menat) beat WP|Daikokugo (Birdie). • IceEffect (Laura) eliminated Saunic (Ibuki). • Flash (Urien) beat F3|Brolynho (Necalli) 2-0. • AB|Gunfight (Alex) beat Tempo|Alex Myers (Cammy). • NASR|BigBird (Rashid) eliminated XSK Samurai (Akuma). • Saunic (Ibuki) eliminated M.Lizard (Vega). • FD|Fujimura (Ibuki) beat RB|Snake Eyez (Akuma). • CYG|Daigo (Guile) beat SPZ|Sandbag (Akuma) 2-0. • Flash (Urien) beat Talon|HotDog29 (M. Bison). • FD|Haitani (Akuma) beat Rise|Smug (Balrog) 2-0. • XSK Samurai (Akuma) eliminated Kindevu (Akuma). • XYZZY (Birdie) beat NASR|BigBird (Rashid) 2-0. • WP|Daikokugo (Birdie) beat SB|JB (Rashid) 2-0. • Unsung (Zeku) beat EG|NYChrisG (Ibuki). • ElChakotay (R. Mika) beat Bbyongbbyong (Birdie). • JeStErPoWeR (Vega) beat Kusanagi (Karin, Sakura) 2-0. • DOP|Wolfgang (Blanka) beat Millénium|Gen1us (Birdie) 2-0. • Sunao (Karin) beat Ryan Hart (Urien). • P2G|Harumy (Ibuki) beat Hsien Chang (Juri) 2-0. • UYU|Brian_F (Balrog) beat HZRDS|RobTV (Karin) 2-1. • PRO7OTYPE (Alex) beat FOX|Punk (Cammy) 2-1. • SPZ|Saulabis (Rashid) beat CO|Go1 (Menat). • EG|Ricki Ortiz (Chun-Li) beat Qanba|Dakou (Karin). • GoldenCen (Dhalsim) beat AB|StormKubo (Abigail) 2-1. • AB|Poongko (Abigail) beat F-Word (Ibuki) 2-0. • EG|Ricki Ortiz (Chun-Li) beat Rise|Marn (Ibuki) 2-0. • NVD|SaltyKid (R. Mika) beat GW|Eita (Ken) 2-0. • FD|Haitani (Akuma) beat EH|Velociraptor (Necalli) 2-0. • Xeno|Hoishi (Blanka) beat Pavocado (R. Mika) 2-0. • F3|Brolynho (Necalli) beat PugilistPenguin (F.A.N.G) 2-0. • Rise|Caba (Guile) beat AllOne|Chris Wong (Ibuki) 2-0. • WP|Vanao (Balrog) beat FAV|Sako (Menat). • RB|Luffy (R. Mika) beat M.Lizard (Vega). • Pavocado (R. Mika) beat Liquid|John Takeuchi (Rashid). • UYU|NL (Cammy) eliminated TF|DidimoKOF (Dhalsim). • NVD|Momi (Cammy) beat Brook|WildTaiwanese (Laura). • Brook|WildTaiwanese (Laura) beat UYU|NL (Cammy). • CYG|Daigo (Guile) beat ARK|Alpha Letters Soup (Karin) 2-0. • LU|Alex Valle (Blanka) beat Ghost|NuckleDu (Cammy) 2-0. • PG|Infiltration (Juri) beat TTL|Reiketsu (Vega) 2-0. • RZR|Xian (Ibuki) beat EnVyUS|MisterCrimson (Laura) 2-0. • Grand finals, second set: FOX|SonicFox (Bardock, Fused Zamasu, Android 16) eliminated CO|Go1 (Cell, Bardock, Vegeta) 3-0. • Grand finals, first set: CO|Go1 (Cell, Bardock, Vegeta) beat FOX|SonicFox (Bardock, Fused Zamasu, Android 16) 3-0. • Losers finals: CO|Go1 (Cell, Bardock, Vegeta) eliminated CO|Fenrich (Cell, Bardock, Vegeta) 3-1. • Losers semi-finals: CO|Fenrich (Cell, Bardock, Vegeta) eliminated Ponos|Moke (Kid Buu, Cell, Trunks) 2-0. • Winners finals: FOX|SonicFox (Bardock, Fused Zamasu, Android 16) beat CO|Go1 (Cell, Bardock, Vegeta) 3-0. • CO|Fenrich (Cell, Bardock, Vegeta) eliminated W2W|KnowKami (Android 21, Cell, Goku Black | Cell, Kid Buu, Fused Zamasu) 2-0. • Ponos|Moke (Kid Buu, Cell, Trunks) eliminated GGP|Kazunoko (Kid Buu, Adult Gohan, Yamcha) 2-1. • W2W|KnowKami (Android 21, Cell, Goku Black) eliminated Yoshimoto|Kubo (Adult Gohan, Android 16, Goku) 2-0. • Ponos|Moke (Kid Buu, Cell, Trunks) eliminated NRG|Supernoon (Kid Buu, Cell, Vegeta) 2-0. • Winners semi-finals: CO|Go1 (Cell, Bardock, Vegeta) beat GGP|Kazunoko (Kid Buu, Adult Gohan, Yamcha) 2-0. • Winners semi-finals: FOX|SonicFox (Bardock, Fused Zamasu, Android 16) beat CO|Fenrich (Cell, Bardock, Vegeta) 2-0. • Yoshimoto|Kubo (Adult Gohan, Android 16, Goku) eliminated Reynald (Cell, Android 16, Gotenks) 2-1. • W2W|KnowKami (Android 21, Cell, Goku Black) eliminated Yutta (Kid Buu, Cell, Bardock) 2-0. • NRG|Supernoon (Kid Buu, Cell, Vegeta) eliminated Acqua (Captain Ginyu, Android 16, Vegeta) 2-0. • Ponos|Moke (Kid Buu, Cell, Trunks) eliminated CO|Dogura (Kid Buu, Cell, Goku) 2-1. • GGP|Kazunoko (Kid Buu, Adult Gohan, Yamcha) beat Reynald (Cell, Android 16, Gotenks) 2-1. • CO|Fenrich (Cell, Bardock, Vegeta) beat Acqua (Captain Ginyu, Android 16, Vegeta) 2-0. • CO|Go1 (Cell, Bardock, Vegeta) beat KnowKami (Cell, Fused Zamasu, Kid Buu | Android 21, Cell, Goku Black) 2-0. • FOX|SonicFox (Bardock, Fused Zamasu, Android 16) beat Ponos|Moke (Kid Buu, Cell, Trunks) 2-0. • Yutta (Kid Buu, Cell, Bardock) eliminated PG|Nakkiel (Cell, Kid Buu, Bardock). • NRG|Supernoon (Kid Buu, Cell, Bardock) eliminated R-Cade|Alioune (Android 21, Majin Buu, Vegeta). • Yoshimoto|Kubo (Adult Gohan, Android 16, Goku) eliminated Mokemoti (Bardock, Gotenks, Android 16). • CO|Dogura (Kid Buu, Cell, Goku) eliminated GGWP|Souji (Kid Buu, Cell, Goku). • Yutta (Kid Buu, Cell, Bardock) eliminated Kana (Android 21, Bardock, Goku). • NRG|Supernoon (Kid Buu, Cell, Bardock) eliminated NRG|HookGangGod (Cell, Piccolo, Vegeta) 2-1. • PG|Nakkiel (Cell, Kid Buu, Bardock) eliminated GGEA|Jayto (Android 18, Tien, Goku Black). • Mokemoti (Bardock, Gotenks, Android 16) eliminated BC|ApologyMan. • Yoshimoto|Kubo (Adult Gohan, Android 16, Goku) eliminated BrkrDave (Teen Gohan, Majin Buu, Vegeta). • GGWP|Souji (Kid Buu, Cell, Goku) eliminated UYU|Cloud805 (Cell, Adult Gohan, Kid Buu). • CO|Dogura (Kid Buu, Cell, Goku) eliminated Ponos|Garireo (Bardock, Goku Black, Android 16). • R-Cade|Alioune (Android 21, Majin Buu, Vegeta) eliminated ZomBmu (Cell, Kid Buu, Goku Black). • GGP|Kazunoko (Kid Buu, Adult Gohan, Yamcha) beat UYU|Cloud805 (Cell, Adult Gohan, Kid Buu). • CO|Go1 (Cell, Bardock, Vegeta) beat NRG|Supernoon (Kid Buu, Cell, Bardock). • Acqua (Captain Ginyu, Android 16, Vegeta) beat Kana (Android 21, Bardock, Goku). • CO|Fenrich (Cell, Bardock, Vegeta) beat GGEA|Jayto (Android 18, Tien, Goku Black). • Ponos|Moke (Kid Buu, Cell, Trunks) beat Mokemoti (Bardock, Gotenks, Android 16). • FOX|SonicFox (Bardock, Fused Zamasu, Android 16) beat BrkrDave (Teen Gohan, Majin Buu, Vegeta). • KnowKami (Android 21, Cell, Goku Black) beat R-Cade|Alioune (Android 21, Majin Buu, Vegeta) 2-0. • Reynald (Cell, Android 16, Gotenks) beat CO|Dogura (Kid Buu, Cell, Goku) 2-0. • Yutta (Kid Buu, Cell, Bardock) eliminated DNG|Tachikawa (Kid Buu, Gotenks, Vegeta). • PG|Nakkiel (Cell, Kid Buu, Bardock) eliminated Shinku (Bardock, Kid Buu, Cell). • BC|ApologyMan (Piccolo, Cell, Tien) eliminated EG|NYChrisG (Bardock, Tien, Vegeta). • Yoshimoto|Kubo (Adult Gohan, Android 16, Goku) eliminated HiroHiro. • GGWP|Souji (Kid Buu, Cell, Goku) eliminated Matoi (Android 21, Bardock, Goku). • Ponos|Garireo (Bardock, Goku Black, Android 16) eliminated YukiJP (Kid Buu, Cell, Trunks). • ZomBmu (Cell, Kid Buu, Goku Black) eliminated ChadDrawsThings (Vegeta, Gotenks, Goku). • NRG|HookGangGod (Cell, Piccolo, Vegeta) eliminated B. • NRG|Supernoon (Kid Buu, Cell, Vegeta) beat HiroHiro (Kid Buu, Teen Gohan, Bardock) 2-1. • Acqua (Captain Ginyu, Android 16, Vegeta) beat GGWP|Souji (Kid Buu, Cell, Goku) 2-1. • CO|Go1 (Cell, Bardock, Vegeta) beat Yoshimoto|Kubo (Adult Gohan, Android 16, Goku) 2-0. • R-Cade|Alioune (Android 21, Majin Buu, Vegeta) beat EG|NYChrisG (Bardock, Tien, Vegeta) 2-1. • Mokemoti (Bardock, Gotenks, Android 16) beat ZomBmu (Cell, Kid Buu, Goku Black) 2-0. • BrkrDave (Teen Gohan, Majin Buu, Vegeta) beat UA|Terry Bogard (Trunks, Tien, Goku Black) 2-0. • CO|Go1 (Cell, Bardock, Vegeta) beat Stream.me|PerfectLegend (Cell, Bardock, Vegeta) 2-0. • FOX|SonicFox (Bardock, Fused Zamasu, Android 16) beat Eda (Kid Buu, Goku Black, Android 16) 2-0. • GGP|Kazunoko (Kid Buu, Adult Gohan, Yamcha) beat MG|Macho (Cell, Kid Buu, Goku Black) 2-0. • BC|Apologyman (Piccolo, Cell, Tien) beat RMZ (Cell, Adult Gohan, Android 16) 2-0. • CO|Fenrich (Cell, Bardock, Vegeta) beat Yoshimoto|Kindevu (Cell, Kid Buu, Bardock) 2-0. 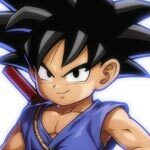 • Yoshimoto|Kindevu (Cell, Kid Buu, Bardock) beat Globo (Goku Black, Majin Buu, Vegeta) 2-0. • Acqua (Captain Ginyu, Android 16, Vegeta) beat NRG|HookGangGod (Cell, Piccolo, Vegeta) 2-1. • Acqua (Captain Ginyu, Android 16, Vegeta) beat GGIC 100% 971 (Kid Buu, Adult Gohan, Yamcha | Hit, Goku Black, Yamcha) 2-0. • Dacidbro (Cell, Bardock, Gotenks) eliminated Mekasue (Hit, Android 21, Blue Goku) 2-1. • Ponos|Moke (Kid Buu, Cell, Trunks) beat AE|Pekos (Kid Buu, Bardock, Android 16) 2-0. • EG|NYChrisG (Bardock, Tien, Vegeta) beat Dadpool (Cell, Gotenks, Android 16) 2-0. • Kana (Android 21, Bardock, Goku) beat CLN|Yohosie (Kid Buu, Gotenks, Android 16) 2-1. • NRG|Supernoon (Kid Buu, Cell, Vegeta) beat KoreanWrestlingMan (Android 18, Cell, Vegeta) 2-1. • KoreanWrestlingMan (Android 18, Cell, Vegeta) beat Toki (Android 21, Bardock, Goku) 2-0. • UA|Terry Bogard (Trunks, Tien, Goku Black) beat Danke (Bardock, Android 16, Goku) 2-1. • Grand finals, second set: Fursan|LowHigh (Shaheen) eliminated UYU|Qudans (Devil Jin) 3-0. • Grand finals, first set: UYU|Qudans (Devil Jin) beat Fursan|LowHigh (Shaheen) 3-1. • Losers finals: UYU|Qudans (Devil Jin) eliminated ITS|Lil Majin (King) 3-0. • Losers semi-finals: UYU|Qudans (Devil Jin) eliminated FOX|JDCR (Dragunov) 2-0. • Winners finals: Fursan|LowHigh (Shaheen) beat ITS|Lil Majin (King) 3-1. • FOX|JDCR (Dragunov) eliminated AR|Book (Jin) 2-0. • UYU|Qudans (Devil Jin) eliminated Fursan|Rangchu (Panda) 2-1. • AR|Book (Jin) eliminated AMD|Chirichiri (Shaheen) 2-1. • Fursan|Rangchu (Panda) eliminated COOASGAMES|Noroma (JACK-7) 2-0. • Winners semi-finals: Fursan|LowHigh (Shaheen) beat UYU|Qudans (Devil Jin) 2-1. • Winners semi-finals: ITS|Lil Majin (King) beat FOX|JDCR (Dragunov) 2-1. • COOASGAMES|Noroma (JACK-7) eliminated Secret (Josie) 2-1. • Fursan|Rangchu (Panda) eliminated ESE|RunItBlack (Jin) 2-0. • AR|Book (Jin) eliminated RB|Anakin (JACK-7) 2-1. • AMD|Chirichiri (Shaheen) eliminated FOX|Saint (JACK-7) 2-1. • ITS|Lil Majin (King) beat COOASGAMES|Noroma (Dragunov, JACK-7) 2-1. • UYU|Qudans (Devil Jin) beat RB|Anakin (JACK-7) 2-0. • FOX|JDCR (Dragunov) beat ESE|RunItBlack (Jin) 2-0. • Fursan|LowHigh (Shaheen) beat FOX|Saint (JACK-7) 2-1. • Secret (Josie) eliminated PBE|Doujin. • Fursan|Rangchu (Panda) eliminated Ao (Alisa). • AR|Book (Jin) eliminated Jimmy J Tran (Bryan). • AMD|Chirichiri (Shaheen) eliminated UYU|Jeondding (Eddy). • PBE|Doujin eliminated PG|Speedkicks (Hwoarang). • Secret (Josie) eliminated W2W|Binchang (Claudio). • Fursan|Rangchu (Panda) eliminated Shadow20z (Claudio). • Ao (Alisa) eliminated Kkokkoma (Paul). • Jimmy J Tran (Bryan) eliminated SFIDA|Kari (Yoshimitsu). • AR|Book (Jin) eliminated Yamasa|Take (Kazumi). • UYU|Jeondding (Eddy) eliminated UYU|Fergus (Asuka). • AMD|Chirichiri (Shaheen) eliminated ITS|CuddleCore (Alisa). • COOASGAMES|Noroma (JACK-7) beat ITS|CuddleCore (Alisa) 2-0. • FOX|JDCR (Dragunov) beat Jimmy J Tran (Bryan) 2-1. • ITS|Lil Majin (King) beat UYU|Jeondding (Eddy) 2-1. • RB|Anakin (JACK-7) beat SM|Kkokkoma (Paul) 2-0s. • ESE|RunItBlack (Jin) beat AR|Book (Jin) 2-0. • UYU|Qudans (Devil Jin) beat Fursan|Rangchu (Panda). • Fursan|LowHigh (Shaheen) beat W2W|Binchang (Claudio). • FOX|Saint (JACK-7) beat PG|Speedkicks (Hwoarang). • PBE|Doujin eliminated Batz (Hwoarang). • Secret (Josie) eliminated Ryan Hart (Kazuya). • Shadow20z (Claudio) eliminated AE|Pekos (Geese). • Ao (Alisa) eliminated Chachamaru (Xiaoyu). • SFIDA|Kari (Yoshimitsu) eliminated EQNX|Dimeback (Asuka). • Yamasa|Take (Kazumi) eliminated Rickstah (Akuma). • UYU|Fergus (Asuka) eliminated Pokchop (Josie). • AMD|Chirichiri (Shaheen) eliminated UYU|Princess Ling (Xiaoyu). • Grand finals, first set: TSM|Leffen (Fox) eliminated Alliance|Armada (Fox, Peach) 3-0. • Losers finals: Alliance|Armada (Fox) eliminated PG|Plup (Sheik) 3-0. • Losers semi-finals: Alliance|Armada (Fox) eliminated Liquid|Hungrybox (Jigglypuff) 2-1. • Winners finals: TSM|Leffen (Fox) beat PG|Plup (Sheik) 3-0. • Liquid|Hungrybox (Jigglypuff) eliminated Wizzrobe (Captain Falcon) 2-1. • Alliance|Armada (Peach) eliminated C9|Mango (Falco) 2-0. • Wizzrobe (Captain Falcon) eliminated OG|Swedish Delight (Sheik) 2-0. • Alliance|Armada (Peach) eliminated Tempo|S2J (Captain Falcon) 2-1. • Winners semi-finals: PG|Plup (Sheik) beat C9|Mango (Falco) 2-0. • Winners semi-finals: TSM|Leffen (Fox) beat Liquid|Hungrybox (Jigglypuff) 2-1. • Alliance|Armada (Peach) eliminated PG|Zain (Marth) 2-1. • OG|Swedish Delight (Sheik) eliminated CLG|PewPewU (Fox) 2-0. • Wizzrobe (Captain Falcon) eliminated ALG|n0ne (Captain Falcon) 2-0. • C9|Mango (Falco) eliminated OG|SwedishDelight (Sheik) 2-1. • PG|Plup (Sheik) beat Wizzrobe (Captain Falcon) 2-1. • TSM|Leffen (Fox) beat Tempo|S2J (Captain Falcon) 2-0. • Liquid|Hungrybox (Jigglypuff) beat PG|Zain (Marth) 2-0. • Alliance|Armada (Peach) eliminated FOX|Mew2King (Marth) 2-1. • Duck (Samus) eliminated G2|Westballz (Falco) 2-0. • CLG|PewPewU (Marth) eliminated SS|Colbol (Fox) 2-1. • ALG|n0ne (Captain Falcon) eliminated DIG|Lucky (Fox). • Alliance|Armada (Peach) eliminated 20GX|Gahtzu (Captain Falcon) 2-0. • DIG|Lucky (Fox) eliminated Drephen (Sheik). • Duck (Samus) eliminated Nintendude (Ice Climbers). • FOX|Mew2King (Sheik) eliminated CLG|SFAT (Fox) 2-0. • G2|Westballz (Falco) eliminated BC|MikeHaze (Fox) 2-0. • CLG|PewPewU (Marth) eliminated DIG|HugS (Samus). • ALG|n0ne (Captain Falcon) eliminated VGBC|Rishi (Marth) 2-0. • SS|Colbol (Fox) eliminated Tempo|Axe (Pikachu) 2-1. • C9|Mango (Falco) beat CLG|SFAT (Fox) 2-1. • OG|SwedishDelight (Sheik) beat Alliance|Armada (Peach, Fox) 2-1. • Wizzrobe (Captain Falcon) beat Nintendude (Ice Climbers, Marth) 2-0. • PG|Plup (Sheik) beat G2|Westballz (Falco) 2-0. • Tempo|S2J (Captain Falcon) beat VGBC|Rishi (Marth) 2-1. • TSM|Leffen (Fox) beat DIG|Lucky (Fox) 2-1. • PG|Zain (Marth) beat SS|Colbol (Fox) 2-0. • Liquid|Hungrybox (Jigglypuff) beat CLG|PewPewU (Marth) 2-0. • Drephen (Sheik) eliminated FX|UncleMojo (Fox) 2-0. • 20GX|Gahtzu (Captain Falcon) eliminated Cactuar (Marth) 2-0. • BC|MikeHaze (Fox) eliminated Liquid|ChuDat (Ice Climbers). • Duck (Samus) eliminated Overtriforce (Sheik) 2-1. • FOX|Mew2King (Sheik) eliminated Sloth|DarkTooth (Fox). • DIG|HugS (Samus) elimintaed Balance|KJH (Fox) 2-0. • Tempo|Axe (Pikachu) eliminated CLN|AbsentPage (Fox) 2-0. • ALG|n0ne (Captain Falcon) eliminated IMT|Shroomed (Sheik). • Liquid|ChuDat (Ice Climbers) eliminated Heartstrings (Sheik). • BC|MikeHaze (Fox) eliminated DarkAtma (Sheik). • Duck (Samus) eliminated VGBC|aMSa (Yoshi) 2-0. • Overtriforce (Sheik) eliminated MSF|LaLuna (Marth) 2-0. • 20GX|Gahtzu (Captain Falcon) eliminated RB|Ice (Fox). • FOX|Mew2King (Sheik) eliminated LFG|EddyMexico (Luigi). • Cactuar (Marth) eliminated SFS|ARookie (Mario) 2-0. • Sloth|Darktooth (Fox) eliminated SacaSuMoto (Sheik). • Balance|KJH (Fox) eliminated Asterion|Amsha (Sheik). • DIG|HugS (Samus) eliminated BERT|Mr. F (Jigglypuff). • CLN|AbsentPage (Fox) eliminated Spark (Sheik). • Drephen (Sheik) eliminated Levingy (Marth). • FX|UncleMojo (Fox) eliminated EGtv|FatGoku (Fox). • ALG|n0ne (Captain Falcon) eliminated TA|Rocky (Falco) 2-1. • IMT|Shroomed (Sheik) eliminated FKA|Slox (Fox) 2-1. • Tempo|Axe (Pikachu) eliminated PG|Wobbles (Ice Climbers). • VGBC|Rishi (Marth) beat FOX|Mew2King (Marth) 2-1. • Liquid|Hugnrybox (Jigglypuff) beat Liquid|ChuDat (Ice Climbers). • PG|Zain (Marth) beat MSF|LaLuna (Marth). • SS|Colbol (Fox) beat VGBC|aMSa (Yoshi). • Nintendude (Ice Climbers) beat Tempo|Axe (Pikachu). • CLG|SFAT (Fox) beat IMT|Shroomed (Sheik). • Grand finals, first set: Omito (Johnny) eliminated Surugaya|Machabo (Ky) 3-0. • Losers finals: Surugaya|Machabo (Ky) eliminated WN|LostSoul (Elphelt) 3-1. • Losers semi-finals: WN|LostSoul (Elphelt) eliminated Nage (Faust) 2-0. • Winners finals: Omito (Johnny) beat Surugaya|Machabo (Ky) 3-2. • WN|LostSoul (Elphelt) eliminated Rion (Ky) 2-0. • Nage (Faust) eliminated Yoshimoto|Zadi (Raven) 2-0. • WN|LostSoul (Elphelt) eliminated Mikado|Teresa (Jam) 2-1. • Nage (Faust) eliminated Fumo (Elphelt) 2-1. • Winners semi-finals: Surugaya|Machabo (Ky) beat Yoshimoto|Zadi (Raven) 2-1. • Winners semi-finals: Omito (Johnny) beat Rion (Ky) 2-0. • Fumo (Elphelt) eliminated GGP|Kazunoko (Raven) 2-0. • WN|LostSoul (Elphelt) eliminated FF|ElvenShadow (Faust) 2-0. • Nage (Faust) eliminated UYU|KizzieKay (Sin) 2-0. • Mikado|Teresa (Jam) eliminated En (Slayer) 2-0. • Surugaya|Machabo (Ky) beat FF|ElvenShadow (Faust) 2-0. • Rion (Ky) beat UYU|KizzieKay (Sin) 2-0. • Yoshimoto|Zadi (Raven) beat En (Slayer) 2-1. • Omito (Johnny) beat Fumo (Elphelt) 2-0. • GGP|Kazunoko (Raven) eliminated MJ|Kedako (May) 2-1. • Nage (Faust) eliminated Hotashi (Elphelt) 2-0. • WN|LostSoul (Elphelt) eliminated Daru (I-No) 2-0. • Mikado|Teresa (Jam) eliminated KidViper (Johnny) 2-0. • Nage (Faust) eliminated UYU|BeautifulDude (Zato-1) 2-0. • Hotashi (Elphelt) eliminated Taro (Kum) 2-0. • MJ|Kedako (May) eliminated Shinku (Dizzy) 2-0. • GGP|Kazunoko (Raven) eliminated Negisuke (Dizzy) 2-1. • Daru (I-No) eliminated Waxl (Axl) 2-0. • WN|LostSoul (Elphelt) eliminated /r/Kappa|FAB (Potemkin) 2-0. • Mikado|Teresa (Jam) eliminated Mocchii (Sol) 2-1. • KidViper (Johnny) eliminated Taka (Slayer) 2-1. • Omito (Johnny) beat KidViper (Johnny) 2-0. • Fumo (Elphelt) beat Mocchii (Sol) 2-1. • UYU|KizzieKay (Sin) beat /r/Kappa|FAB (Potemkin) 2-0. • Rion (Ky) beat Daru (I-No) 2-1. • Yoshimoto|Zadi (Raven) beat Negisuke (Dizzy) 2-0. • En (Slayer) beat MJ|Kedako (May) 2-0. • Surugaya|Machabo (Ky) beat Hotashi (Elphelt) 2-0. • FF|ElvenShadow (Faust) beat UYU|BeautifulDude (Zato-1) 2-0. • Nage (Faust) eliminated TTK|Moga (Slayer) 2-0. • Taro (Kum) eliminated Wne (Sin) 2-0. • Shinku (Dizzy) eliminated Eiji (Sol) 2-0. • GGP|Kazunoko (Raven) eliminated 1Up|PepperySplash (Johnny) 2-0. • Waxl (Axl) eliminated HavocNoah (I-No) 2-0. • WN|LostSoul (Elphelt) eliminated CATPION|Daymendou (Slayer) 2-0. • Mikado|Teresa (Jam) eliminated Jonio (Johnny) 2-0. • Taka (Slayer) eliminated WG|Lox (Jam) 2-0. • Grand finals, second set: Lima (Bayonetta) eliminated CaptainZack (Bayonetta) 3-1. • Grand finals, first set: CaptainZack (Bayonetta) beat Lima (Bayonetta) 3-2. • Losers finals: CaptainZack (Bayonetta) eliminated DNG|Nietono (Sheik) 3-0. • Losers semi-finals: DNG|Nietono (Sheik) eliminated EMG|Mistake (Bayonetta) 2-0. • Winners finals: Lima (Bayonetta) beat CaptainZack (Bayonetta) 3-2. • EMG|Mistake (Bayonetta) eliminated PG|MVD (Diddy Kong) 2-0. • DNG|Nietono (Diddy Kong) eliminated W2W|Mr. E (Lucina) 2-1. • PG|MVD (Diddy Kong) eliminated CND|Raito (Duck Hunt) 2-1. • DNG|Nietono (Diddy Kong) eliminated Yoshimoto|Choco (Zero Suit Samus) 2-1. • Winners semi-finals: Lima (Bayonetta) beat EMG|Mistake (Bayonetta) 2-0. • Winners semi-finals: CaptainZack (Bayonetta) beat W2W|Mr. E (Lucina) 2-0. • PG|MVD (Diddy Kong) eliminated PG|Cosmos (Corrin) 2-1. • CND|Raito (Duck Hunt) eliminated Elegant (Luigi) 2-1. • Yoshimoto|Choco (Zero Suit Samus) eliminated GRV|Dabuz (Rosalina & Luma) 2-1. • DNG|Nietono (Sheik) eliminated Falln (Rosalina & Luma) 2-1. • EMG|Mistake (Bayonetta) beat GRV|Dabuz (Rosalina & Luma) 2-1. • Lima (Bayonetta) beat Falln (Rosalina & Luma) 2-0. • W2W|Mr. E (Lucina) beat PG|MVD (Diddy Kong) 2-1. • CaptainZack (Bayonetta) beat CND|Raito (Duck Hunt) 2-0. • Elegant (Luigi) eliminated Ally (Mario) 2-0. • PG|Cosmos (Corrin) eliminated Yuzu (Rosalina & Luma) 2-1. • Yoshimoto|Choco (Zero Suit Samus) eliminated PG|Esam (Pikachu) 2-1. • DNG|Nietono (Sheik) eliminated SST|Shuton (Olimar) 2-0. • Ally (Mario) eliminated Liquid|Salem (Bayonetta) 2-1. • Elegant (Luigi) eliminated eM|Zenyou (Mario) 2-1. • PG|Cosmos (Corrin) eliminated SRC|Tyroy (Bayonetta) 2-1. • Yuzu (Rosalina & Luma) eliminated Takera (Ryu) 2-0. • PG|Esam (Pikachu) eliminated Crow (Fox) 2-1. • Yoshimoto|Choco (Zero Suit Samus) eliminated CLG|VoiD (Sheik) 2-1. • DNG|Nietono (Sheik) eliminated Diablo (Ryu) 2-0. • SST|Shuton (Olimar) eliminated 2GG|Komorikiri (Cloud) 2-1. • EMG|Mistake (Bayonetta) beat Ally (Mario) 2-0. • GRV|Dabuz (Rosalina & Luma) beat Elegant (Luigi) 2-0. • Falln (Rosalina & Luma) beat PG|Cosmos (Corrin) 2-1. • Lima (Bayonetta) beat Takera (Ryu) 2-1. • Mr. E (Lucina) beat SST|Shuton (Olimar) 2-0. • PG|MVD (Diddy Kong) beat Diablo (Ryu) 2-0. • CND|Raito (Duck Hunt) beat Crow (Fox) 2-0. • CaptainZack (Bayonetta) beat CLG|VoiD (Sheik) 2-0. • Yuzu (Rosalina & Luma) eliminated JK (Bayonetta) 2-0. • SRC|Tyroy (Bayonetta) eliminated Shky (Zero Suit Samus) 2-1. • eM|Zenyou (Mario) eliminated DNG|Kameme (Mega Man) 2-1. • Liquid|Salem (Bayonetta) eliminated Yoshimoto|Abadango (Bayonetta) 2-1. • PG|Esam (Pikachu) eliminated GRV|Eon (Fox) 2-0. • Yoshimoto|Choco (Zero Suit Samus) eliminated MSF|Larry Lurr (Fox) 2-1. • DNG|Nietono (Sheik) eliminated CharlieDaKing (Fox) 2-1. • 2GG|Komorikiri (Cloud) eliminated IMT|ANTi (Zero Suit Samus) 2-1. • JK (Bayonetta) eliminated CLG|Nakat (Fox) 2-0. • Yuzu (Rosalina & Luma) eliminated Strike (Sheik) 2-1. • SRC|Tyroy (Bayonetta) eliminated DCG|Ki (Ryu) 2-0. • Shky (Zero Suit Samus) eliminated Captain L (Pikachu) 2-0. • eM|Zenyou (Mario) eliminated NRG|Nairo (Zero Suit Samus) 2-1. • DNG|Kameme (Mega Man) eliminated WF|ElCobrador (Sheik) 2-1. • Liquid|Salem (Bayonetta) eliminated Lea (Greninja) 2-1. • Yoshimoto|Abadango (Bayonetta) eliminated Tyrant (Rosalina & Luma) 2-0. • GRV|Eon (Fox) eliminated KiraFlax (Pit) 2-1. • PG|Esam (Pikachu) eliminated AR|BestNess (Ness) 2-0. • MSF|Larry Lurr (Fox) eliminated Suinoko (Diddy Kong) 2-0. • Yoshimoto|Choco (Zero Suit Samus) eliminated Z (Pikachu) 2-1. • CharlieDaKing (Fox) eliminated GoE|Lui$ (Mario) 2-0. • DNG|Nietono (Sheik) eliminated AR|ValoR (Sonic) 2-0. • IMT|ANTi (Zero Suit Samus) eliminated Hive|Vinnie (Sheik) 2-0. • 2GG|Komorikiri (Cloud) eliminated PiXL (Ryu) 2-0. • Grand finals, second set: Heiho (Ruby, Gordeau) eliminated PAG|Fame96 (Yu, Jin) 3-0. • Grand finals, first set: Heiho (Ruby, Gordeau) beat PAG|Fame96 (Yu, Jin) 3-1. • Losers finals: Heiho (Ruby, Gordeau) eliminated BE|DoraBang (Hazama, ν -No.13-) 3-0. • Losers semi-finals: Heiho (Ruby, Gordeau) eliminated KojiKOG (Waldstein, Tager) 3-0. • Winners finals: PAG|Fame96 (Yu, Jin) beat BE|DoraBang (Hazama, ν -No.13-) 3-0. • KojiKOG (Waldstein, Tager) eliminated GGP|Kazunoko (Ruby, Gordeau) 3-2. • Heiho (Ruby, Gordeau) eliminated CO|Fenrich (Jin, Hyde) 3-1. • GGP|Kazunoko (Ruby, Gordeau) eliminated DettyWhiteRock (Yang, Waldstein) 3-2. • Heiho (Ruby, Gordeau) eliminated Gouda (Gordeau, ν -No.13-) 3-2. • Winners semi-finals: PAG|Fame96 (Yu, Jin) beat CO|Fenrich (Jin, Hyde) 3-1. • Winners semi-finals: BE|DoraBang (Hazama, ν -No.13-) beat KojiKOG (Waldstein, Tager) 3-1. • DettyWhiteRock (Yang, Waldstein) eliminated Elyon (Jubei, Ragna) 3-1. • GGP|Kazunoko (Ruby, Gordeau) eliminated HZK|Ryo (Carmine, Jin) 3-1. • Gouda (Gordeau, ν -No.13-) eliminated Uruza (Yosuke, Waldstein) 3-0. • Heiho (Ruby, Gordeau) eliminated Kyamei (Yu, Hyde) 3-0. • PAG|Fame96 (Yu, Jin) beat Elyon (Jubei, Ragna) 3-2. • CO|Fenrich (Jin, Hyde) beat HZK|Ryo (Carmine, Jin) 3-1. • BE|DoraBang (Hazama, ν -No.13-) beat Uruza (Yosuke, Waldstein) 3-0. • KojiKOG (Waldstein, Tager) beat Heiho (Ruby, Gordeau) 3-0. • DettyWhiteRock (Yang, Waldstein) eliminated Uri (Orie, ν -No.13-). • Kyamei (Yu, Hyde) eliminated Shinku (Yang, Ruby). • Gouda (Gordeau, ν -No.13-) eliminated TSB|OmniSScythe (Orie, Ruby). • GGP|Kazunoko (Ruby, Gordeau) eliminated Yoshimoto|Kubo (Hyde, Ruby). • Uri (Orie, ν -No.13-) eliminated Crescent|Doza (Yu, Ruby). • TSB|OmniSScythe (Orie, Ruby) eliminated Ho-chan (Ruby, Gordeau) 3-2. • Shinku (Yang, Ruby) eliminated UGS|BBoy Dragon (Ruby, Blake). • Yoshimoto|Kubo (Hyde, Ruby) eliminated Rhapsody (Ruby, Gordeau). • GGP|Kazunoko (Ruby, Gordeau) eliminated NGI|DBlanks (Platinum, Es). • DettyWhiteRock (Yang, Waldstein) eliminated Nezu (Ruby, Naoto). • Gouda (Gordeau, ν -No.13-) eliminated Kumojaki (Linne, Es). • Kyamei (Yu, Hyde) eliminated PG|SKD (Blake, Jin). • Elyon (Jubei, Ragna) beat Kumojaki (Linne, Es) 3-0. • KojiKOG (Waldstein, Tager) beat GGP|Kazunoko (Ruby, Gordeau) 3-0. • PAG|Fame96 (Yu, Jin) beat Ho-chan (Ruby, Gordeau) 3-1. • Uruza (Yosuke, Waldstein) beat Crescent|Doza (Yu, Ruby) 3-1. • CO|Fenrich (Jin, Hyde) beat PG|SKD (Blake, Jin). • HZK|Ryo (Carmine, Jin) beat UGS|BBoyDragon (Ruby, Blake). • BE|DoraBang (Hazama, ν -No.13-) beat Nezu (Ruby, Naoto). • Heiho (Ruby, Gordeau) beat Yoshimoto|Kubo (Hyde, Ruby). • Uri (Orie, ν -No.13-) eliminated Tsukowa (Ragna, Hyde). • Shinku (Yang, Ruby) eliminated SuperScience (Ruby, Orie). • TSB|OmniSScythe (Orie, Ruby) eliminated Veteru (Gordeau, Ragna) 3-1. • Rhapsody (Ruby, Gordeau) eliminated Mokemoti (Vatista, Orie). • NGI|DBlanks (Platinum, Es) eliminated Isorropia (Tager, Es). • DettyWhiteRock (Yang, Waldstein) eliminated ZeroHour (Gordeau, Yu). • Gouda (Gordeau, ν -No.13-) eliminated Justin (Platinum, Naoto). • Kyamei (Yu, Hyde) eliminated KidViper (Blake, Hyde). • Grand finals, first set: Noble|Rewind (Catwoman) eliminated Noble|Tweedy (Doctor Fate) 3-1. • Losers finals: Noble|Tweedy (Starfire, Doctor Fate) eliminated FOX|SonicFox (Starfire, Black Manta) 3-1. • Losers semi-finals: Noble|Tweedy (Starfire) eliminated BigD (Poison Ivy) 3-2. • Winners finals: Noble|Rewind (Black Adam) beat FOX|SonicFox (Red Hood, Firestorm) 3-1. • BigD (Poison Ivy) eliminated PG|Hayatei (Robin) 3-1. • Noble|Tweedy (Doctor Fate) eliminated Noble|Semiij (Catwoman) 3-0. • PG|Hayatei (Robin) eliminated Method|SylverRye (Hellboy) 3-1. • Noble|Tweedy (Doctor Fate, Starfire) eliminated BC|Biohazard (Cheetah, Starfire, Black Manta) 3-1. • Winners semi-finals: Noble|Rewind (Blue Beetle) beat Noble|Semiij (Catwoman) 3-1. • Winners semi-finals: FOX|SonicFox (Firestorm) beat BigD (Poison Ivy) 3-0. • Noble|Tweedy (Starfire) eliminated F3|D.R. Gross (Black Adam). • BC|Biohazard (Bane) eliminated HeroKillerStain (Cyborg). • PG|Hayatei (Robin) eliminated Buffalo (Sub-Zero). • Method|SylverRye (Hellboy) eliminated DF|Grr (Atom). • Noble|Semiij (Catwoman) beat PG|Hayatei (Robin). • Noble|Rewind (Firestorm) beat DF|Grr (Atom). • BigD (Poison Ivy) beat F3|D.R. Gross (Black Adam). • FOX|SonicFox (Starfire) beat BC|Biohazard (Bane). • Noble|Tweedy (Starfire) eliminated FOX|Scar (Supergirl). • HeroKillerStain (Cyborg) eliminated FOX|Theo (Doctor Fate). • Buffalo (Sub-Zero) eliminated BC|HoneyBee (Starfire). • Method|SvylerRye (Hellboy) eliminated NASR|TekkenMaster (Atrocitus). • Noble|Tweedy (Starfire) eliminated NASR|SharkTeeth (Supergirl). • FOX|Scar (Supergirl) eliminated Dab (Superman). • HeroKillerStain (Cyborg) eliminated HZRDS|ForeverKing (Batman). • FOX|Theo (Doctor Fate) eliminated TF|KillerXinok (The Flash). • BC|HoneyBee (Starfire) eliminated Revetleafing (Cheetah). • Buffalo (Sub-Zero) eliminated Nubcakes (Batman). • Method|SylverRye (Hellboy) eliminated TSS|Deoxys (Blue Beetle). • NASR|TekkenMaster (Atrocitus) eliminated CLN|WhiteBoi (Scarecrow). • PG|Hayatei (Robin) beat FOX|Theo (Doctor Fate). • Noble|Semiij (Catwoman) beat HZRDS|ForeverKing (Batman). • Noble|Rewind (Firestorm) beat FOX|Scar (Supergirl, Brainiac) 3-0. • DF|Grr (Atom) beat Noble|Tweedy (Starfire). • BigD (Poison Ivy) beat CLN|WhiteBoi (Scarecrow). • F3|D.R. Gross (Black Adam) beat Method|SylverRye (Hellboy) 3-1. • FOX|SonicFox (Red Hood) beat Nubcakes (Batman). • BC|Biohazard (Bane) beat Revetleafing (Cheetah). • NASR|SharkTeeth (Supergirl) eliminated GGEA|Ominous (Black Adam). • Dab (Superman) eliminated King Raj (Starfire). • HeroKillerStain (Cyborg) eliminated TSS|Crusty (Harley Quinn). • TF|KillerXinok (The Flash) eliminated HZRDS|EmperorKnicks (Black Manta). • BC|HoneyBee (Starfire) eliminated Han Rashid (Green Arrow). • Buffalo (Sub-Zero) eliminated Dharc (Scarecrow). • TSS|Deoxys (Blue Beetle) eliminated DS|Waz (Catwoman). • NASR|TekkenMaster (Brainiac) eliminated PG|Coach Steve (Atrocitus).